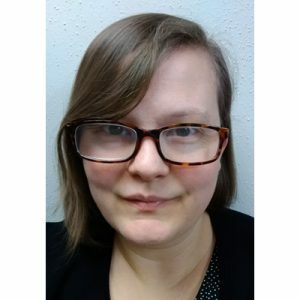 Alyson Drake is the Assistant Director for Public Services and the Director of the Excellence in Legal Research Program at Texas Tech University School of Law Library in Lubbock, TX. 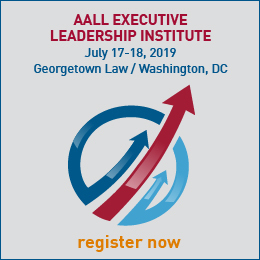 WHY DID YOU JOIN AALL? I began my membership with AALL upon beginning my first job as a law librarian. My new colleagues made sure I was signed up, so I could begin reaping all the benefits of being a member. WHY DO YOU STAY A MEMBER? I stay a member because of the connections. 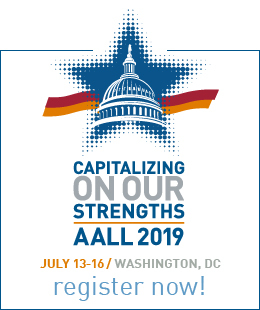 AALL is the avenue through which I’ve made so many amazing friends and colleagues all around the country. These connections are the people I call when I am trying to solve a problem, when I want to discuss a new teaching or outreach idea, or I just need to chat with someone who understands the day-to-day grind of law librarianship. WHAT ONE MEMBERSHIP BENEFIT IS MOST VALUABLE TO YOU? For me, the special interests sections are the most valuable benefit, and most especially the RIPS-SIS community. Instruction is my passion and serving our various users is my daily focus as the Assistant Director for Public Services, so having a group of librarians devoted to issues surrounding those two areas that I can call upon and share ideas with has been really remarkable. The SISes also have a wonderful habit of creating really incredible resources for librarians to use. On a day-to-day basis, I also really dig the KnowItAll. WHAT IS YOUR FAVORITE MEMORY ASSOCIATED WITH AALL? For me, the one that stands out is attending the 2016 Leadership Academy. I was awed to be in a room full of other librarians who were (and are) so passionate about this profession and so full of innovative ideas. I walked away completely energized, having learned so much and having made connections with so many engaged librarians. If you ever have an opportunity to go, please do—several SISes have scholarship opportunities to attend, so don’t let a lack of funds stop you! My passion is travel and wildlife photography. I love visiting new places and trying to capture places, people, and moments that left me inspired. Right now, I’m in the middle of three great reads. The first relates to my current research into cognitive theory and legal research pedagogy. It’s called Small Teaching: Everyday Lessons from the Science of Learning, by James M. Lang; it focuses on small changes instructors can make to their classes/workshops to help students learn more effectively. I think I’ve jotted down more notes for concrete ideas to try in class reading this than I ever have reading anything else. I’ve only got one chapter left and I’m kind of sad it’s about to end. If you are into instruction, it will blow your mind! The other two books I’m reading are Essentialism: The Disciplined Pursuit of Less, which came highly recommended by my library director, Jamie Baker, and The Little Book of Hygge: Danish Secrets to Happy Living, by Meik Wiking. WHAT’S YOUR FAVORITE TRAVEL/VACATION DESTINATION? My last trip was to Kenya in December. I went on safari and I swear I haven’t had a more relaxing two weeks in my whole life. Being out in the fresh air nonstop and completely disconnecting from technology was so restorative. I’ve been plotting my return to Africa ever since.